My sister Barb found a stamp set with some beautiful sentiment on her last trip across the border and she was so sweet and picked one up for me. Yesterday she challenged us to use it. 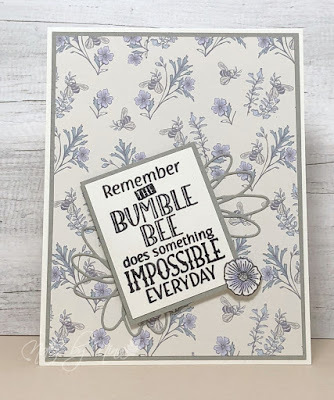 I have had these Bumblebee themed papers for a long time and truth be told I was not sure how I would be used but this stamp set was perfect. Simple layers, a couple of die cut flower under the sentiment panel which is popped up with foam tape. Supplies: White and sage cardstock, Designer Paper - Unknown, Dare 2B Artzy - Beeutiful. 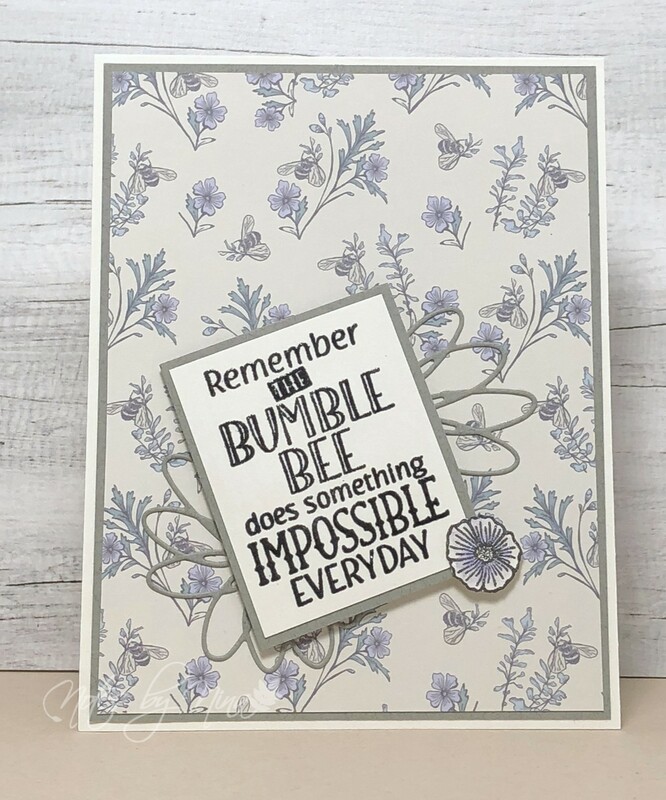 I love how we both thunk up a small backdrop mimicking bee wings (in shape) I like the gentle, subtle coloring of your designer paper. Your tiny floral draws attention to the sentiment. Lovely! your card is so awesome ...love it .It was great to have a night of us girls creating .